At Trinetra yoga our philosophy is Three-eyed approach to provide authentic knowledge to our Yogi’s and Yogini’s to uplift them in spirituality and yoga, keeping” 3 eyes on Mental, physical and Spiritual development”. The third eye is the seat of No lust, Anger, Greed, Emotional attachment, Proud and Jealousy and that’s one of the strongest paths to enlightenment and self-realization. At Trinetra Yoga we believe in showing them the path of enlightenment, Supreme knowledge, True self and giving them an inward Journey. How to arrive at Trinetra Yoga? Mysore is very well connected by rail throughout the region and the railway station is just about 2 kilometers from the city center. You will find many express trains between Bangalore and Mysore that cover the distance between the two cities in about three hours. Bangalore itself is very well-connected to most other cities in India. Some of the trains plying between the two nodes include Tippu Express, Chamundi Express, Kaveri Express and Mysore Express. If you want to drive to Mysore from Bangalore, take the Mysore Road (SH 17) all the way till Mysore via Kengeri, Ramnagaram, and Mandya. Alternatively, you can go from Jayanagar, Bangalore on the Kanakpura Road (NH 209) via Kanakpura, Malavalli, and Banner. What are the Teachers training courses offered by Trinetra Yoga? 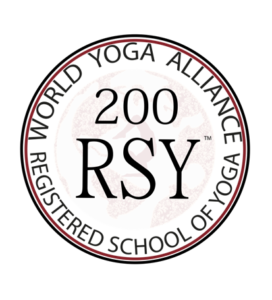 Is Trinetra yoga affiliated to World Yoga Alliance? Trinetra Yoga is affiliated with World Yoga alliance (Worlds renowned international yoga alliance present in multiple countries and the programs and courses offered by us strictly follow international standards set by World Yoga Alliance. We are accredited RSY 50, RSY 100, RSY 200, RSY 300.
Who can enroll at Trinetra Yoga? We will be enrolling those practitioners who are at least 7-13 years and above and have some yoga experience and those who are willing to pay their undivided attention during 3.5 weeks of the course and serious about learning yoga principles. The platform is open for practitioners with a passion for yoga. Our teachers are well-experienced professionals of Yoga who have experience in teaching international and domestic students for last so many years. They have the expertise in many domains and aspects of yoga. They have been taking care of Teachers training program for many years and have been strong pillars of Yoga domain. After Ashtanga or any other form of yoga – immediate cold exposure to be avoided. Water consumption after 30 mins of asana practice after body cools down and least of water consumption during yoga sessions. Whats the batch strength or Batch capacity? Generally, one batch has 10 students at the maximum at a time with a concept of 1:10 ratio of Teacher to student. Do I need to buy some books or material before and for the course? We have Theoretical and Practical exams at the end of the course before certification ceremony and same will be evaluated by the Guru’s and Master’s before we certify you. Attendance is 95% compulsory and all students are advised to be punctual and on time and finish their tasks, homework, and participation well in time to help us certify you. It’s a residential program and we provide twin sharing Accommodation and Single occupancy – To be informed in advance and booking based on availability and will have different charges. Our accommodation, facilities, and food are the class apart, hygienic and amidst nature – coconut plantations and has a serene surrounding. Being a residential program, we provide Breakfast, lunch, and dinner from Monday to Sunday – all the days and Vegetarian food will be served. It’s a Yoga program and hence we neither serve and nor suggest Non-vegetarian diet. Is there any short term course or Yoga retreat or any program available? Yes for the practitioners who can’t make it for a month, for them we offer 50- 100 hours programs in Ashtanga Yoga/Hatha Yoga/Prenatal Yoga/Transformational Yoga/ Multi-style Yoga/Kids Yoga/Meditational Yoga/Therapeutic Yoga. 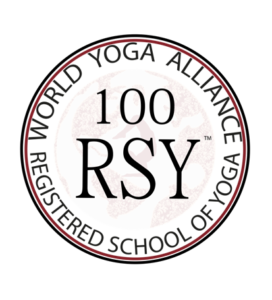 These short-term programs are 50- 100 hours Yoga holiday / Yoga retreats and also Teachers training programs with certification. These are 50-100 hours programs are with and without certification both. Any prerequisite or preparation for the program? We suggest our students to at least do some practice before landing here especially in Ashtanga and Hatha Yoga. The better and more consistent is your practice at home , the better will be outcomes and adaptability during the program with us. Mysore is located at12.30°N 74.65°E and has an average altitude of 770 meters(2,526 ft). It is spread across an area of 128.42 km2 (50 sq mi) at the base of the Chamundi Hills in the southern region of Karnataka. Mysore has The Biggest ‘Walk-Through Aviary’ called Karanji Lake in India. Mysore served as the capital city of the Kingdom of Mysore for nearly six centuries, from 1399 until 1956. How do I enroll for the Program and pay the fee? Please fill up the online application form with all the details and follow the link thereafter, for the payment top block the seat. Payment & Refund Policy Kindly go through the policy in detail and take up a decision whether and if you are physically and mentally prepared to take up the course as it could be intense and challenging for some. Refund won’t be entertained either in part or full at any time during the course. When an applicant is enrolled in a training then $400 deposit sent with application automatically becomes non-refundable money. And in case If an applicant is not accepted then the deposit money paid will be immediately refunded to the student. The balance amount or the course fee must be paid 4 weeks before or at the time of arrival in Mysore. In case the training is canceled, then we will refund 100% of your payment made to us or offer an alternative placement or course. Trinetra yoga is not to be held liable for flight costs or any other expenses. If a student withdraws himself or herself from the course the deposit is non-refundable but can be transferred to another date for the course or program. When you take admission in our teacher training program, then you agree and accept that you are at least 18 years of age, and agree to abide and comply with these Terms & Conditions of service. If a student is expelled from the course due to non-observance of ashram rules/ regulations then no refund can be claimed. In case of cancellation of the course by the Trinetra yoga, students have the choice to transfer to another course on a different date or to receive a full refund of the paid fees. Our liability is limited to the refund of the received fees only.